Drones are generating a lot of buzz in geospatial technology circles, prompting Esri to host a two-hour drone demonstration during the 2016 Esri Imaging & Mapping Forum (IMF). If you register for the two-day event in San Diego, California, this summer, you can enjoy front row viewing of the drones. 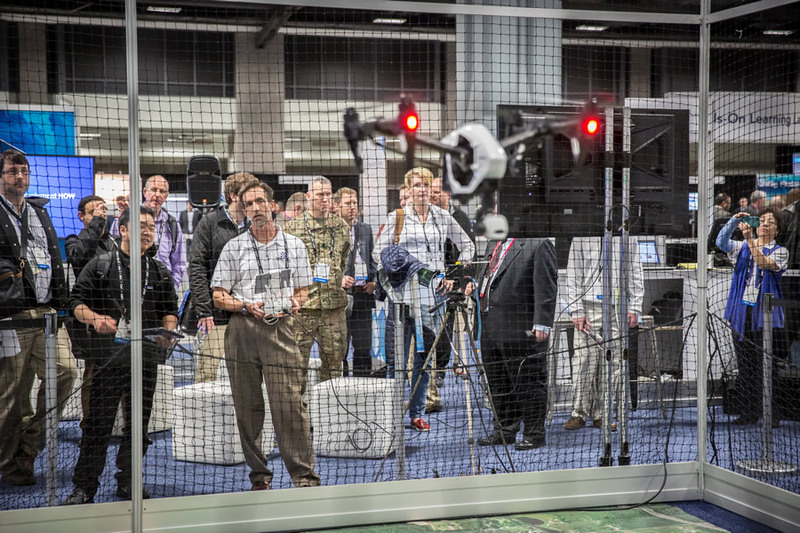 Drones will maneuver inside a netted cage at the Esri Imaging & Mapping Forum. Six or more drones from Esri partners will demonstrate their capabilities inside a 20-foot-long, 20-foot-wide, and 20-foot-high netted cage set up inside the Manchester Grand Hyatt San Diego. Drone flights will take place during the IMF EXPO Social, from 5:30 p.m. to 7:30 p.m. June 25. The IMF will be held June 25–26 and will precede the Esri User Conference, which will run from June 27 through July 1. Esri staff also will demonstrate how drones and Esri technology can work together. There will be a demonstration of the new Drone2Map for ArcGIS app, which turns raw, still imagery captured by drones into professional 2D and 3D imagery products. Operators will demonstrate quadcopter drones that can hover, rather than fixed-wing drones, which need more space in which to fly, said Kurt Schwoppe, Esri’s business development manager for imagery. 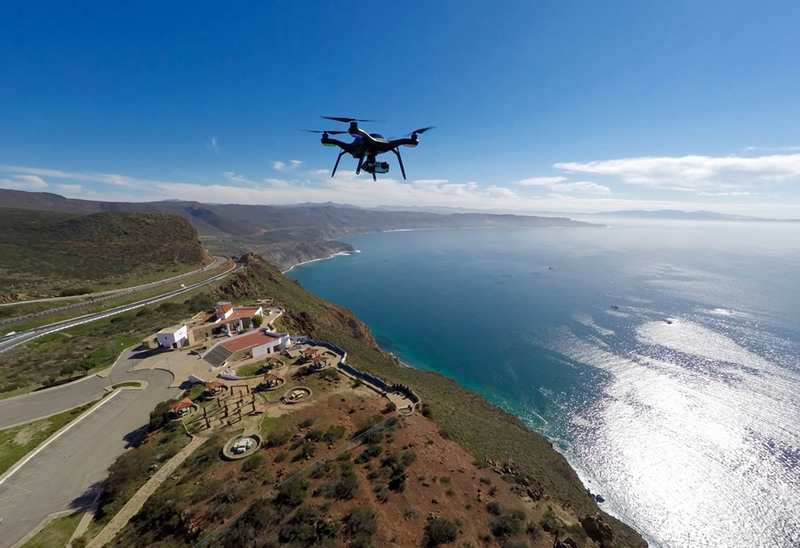 The Solo drone from 3DR captures stunning imagery as it hovers above the Pacific Coast. Representatives from 3DR will demonstrate its drones at the forum. Imagery taken by drones can be turned into 2D and 3D mapping products using Drone2Map for ArcGIS, now in beta. Drone2Map for ArcGIS processes raw still imagery quickly and turns it into orthomosaics, 3D point clouds and meshes, and digital surface models. The map products created from the imagery can be used in a variety of ways, from monitoring the health of agricultural crops to inspecting electric transmission lines. Learn more about what drones together with Drones2Map for ArcGIS can do for your organization by viewing this story map. The Solo drone captures worksite features from a unique perspective. Many companies are planning for how drones and mapping technology will be used together, and how they will fit with the recently proposed Federal Aviation Administration (FAA) safety regulations for non-recreational drone use in the United States. Schwoppe sees many uses for drones and mapping in what he calls the micro-geography space. These uses might include conducting land surveys, monitoring and mapping protected areas, inspecting buildings or utility assets such as electric transmission lines, and monitoring the progress of construction projects. 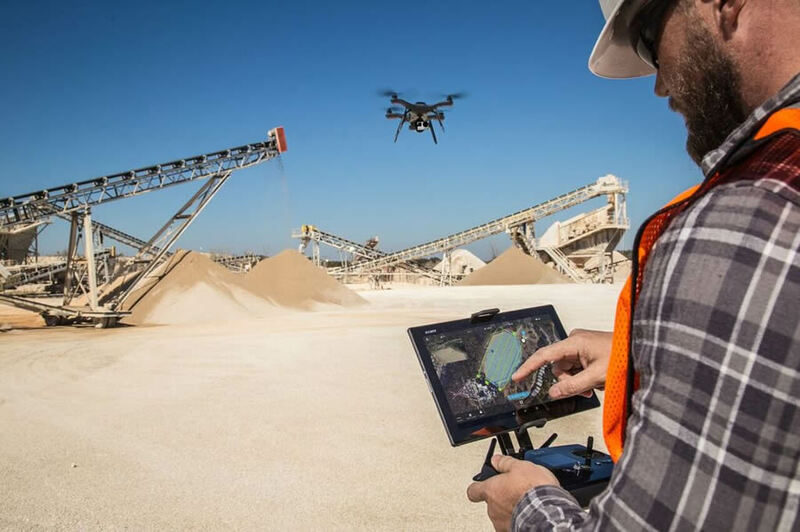 Power plant operators could fly drones over their coal stockpiles and then use the ArcGIS platform to create 3D volumetric measurements of the inventory from the imagery, Schwoppe said. Golf courses could even use drones to inspect the health of the fairways, and GIS to analyze and manage maintenance data, he added. The Jane Goodall Institute conducted a drone flight in Tanzania, Africa, where the organization does conservation work with chimpanzees and gorillas, Schwoppe said. Esri recently took imagery from the flight and processed and analyzed it using Drone2Map for ArcGIS, and a map was produced that showed possible chimpanzee nesting areas, he said. 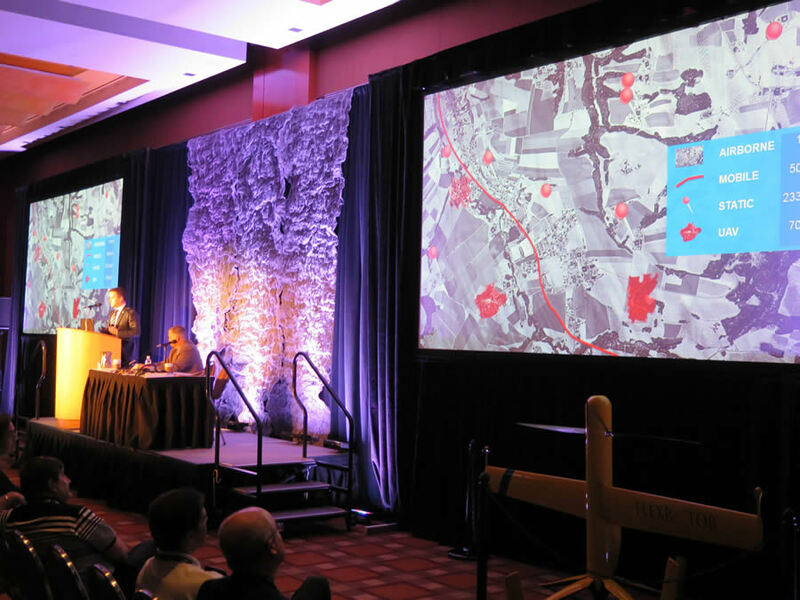 The forum presentations will update you on the latest imagery and mapping technology trends. The drone exhibit will be just one of many exciting presentations at the Esri IMF, which focuses on modern imaging and multidimensional GIS and mapping technologies. 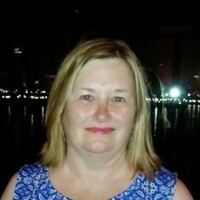 Steve Snow, Esri industry specialist for mapping, statistics, and imagery, said that the people who attend the IMF want to know what’s coming next—past 2D mapping—into 3D, 4D, and beyond. 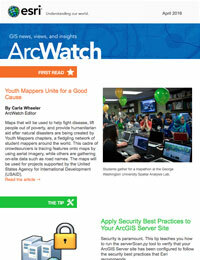 “They are trying to understand technology trends and find out where GIS is going,” Snow said. Topics will include photogrammetry, lidar, remote sensing, unmanned aerial vehicles (UAVs), street-side mapping, and 3D printing. Presentations are planned on ArcGIS Full Motion Video, an ArcGIS for Desktop add-in and a set of geoprocessing tools that provide workflows to view, manage, analyze and share video content including live feeds. There will also be a demonstration of ArcGIS Earth, a lightweight, easy-to-use 3D interface for working with geospatial data on a globe.